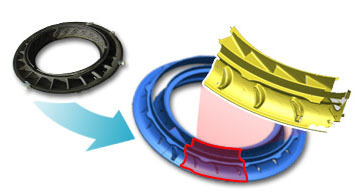 3D Scanning is Time Compression technology that can be a huge value proposition in many industries and applications. With 3D scans, a company or individual can digitally archive existing legacy parts, acquire 3D data for rapid prototyping, scan models for further processing of CAD data, and undergo more thorough inspection processes. In lieu of plaster casts, artists and archeologists can scan perfect images of art and historical objects, perfectly preserving the fine details as they are at that moment in time. S culptCAD also provides confirmation and qualification services: we can help improve parts or components by assessing their failure or breakage and generating new designs.